Well, there are many people who always search out the income of professionals in different fields and careers. Moving into the tattoo arts category, there are numerous artists, who are heavily paid for their outstanding artistic work after tattooing became very popular in different regions of the world, especially European and American countries. A tattoo artist or a tattooist is a person who makes use of his tattooing equipment (including needles, tattooing machine and other equipment) to create tattoos on a person’s skin as a career and a way of living. So the tattooist is an experienced professional, who got a great passion and skill for art and eventually the desire for tattooing as a way of living . Therefore, tattoo artists salary varies on the artist professional experience and his estimation of the work he done (and number of other factors we will discuss later). Usually, the design is made using the needled electric tool with filled ink. The ink helps the tattoo artist to insert an ineradicable innocuous pigment on a person’s skin, thus leaving a permanent design forever. At many times, a tattoo lover comes along with a design in his mind or has the picture of it to assist the tattooist to perfectly know what kind of design he/she wants. 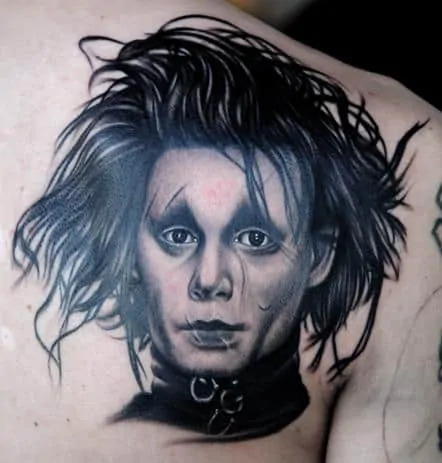 Often, people give an option to the tattoo artist to use his ow­n idea to come up with a nice design that suits well on their skin in any wardrobe. Thus, the professionalism of a tattoo artist counts a lot in this regard. Many people consider tattoo artists to be relatively rich as they think that an average tattoo artist earns a lot on an hourly basis. Well to discuss this, one must know that tattoo artists have a free hand to file their own taxes. Consequently; indirectly, they do not usually have to pay taxes that a common salaried person should have to. As far as the hourly rate of a tattooist is concerned, an average tattoo artist salary is around $40 to $150 per hour. Now, as you will increase the caliber and professionalism of a tattoo artist, the price increases up to $200 to $350 per hour. This hourly rate totally depends on the caliber and professionalism of a tattoo artist. Mostly those artists, who have a well-built reputation within their area and have years of working experience, earn a lot more than that. Also, a principal determinant of a tattoo artists salary is the amount of work he gets in a particular season. On summer times there is historical increase on the amount of the tattoo work that is done by the tattoo arts masters, winters on the other hand are more quiet from that perspective (it’s a great time for the artist to learn new techniques and sharpen its own skills). If you search out for tattoo artist salary per annum, then it will range from $20,000 to $90,000. Again, it highly depends on how many years of working experience the artist has. Different website known for salaries of professionals give an estimate about the tattoo artists. PayScale.com shows that per annum salary of a tattoo artist is around $ 22,456 to $87,713. On the other hand, Salarylist.com shows that a professional tattoo artist earns around $46,561 per annum. The tattoo artist salaries, for sure, vary from country to country. Where there is more exposure to tattoo designs and traditions, there are comparatively more salaries of a tattoo artist. After all this information, you can safely say choosing s tattoo artist career is a profitable, self inspiring, provide great opportunity to meet new people and live full and interesting life. If you just begging your way in the tattoo world, the best book we can recommend is the Basic Fundamentals Of Modern Tattoo, by C.R Jordan, a book that will teach you everything you need to know for you career as tattoo artist and as tattoo apprenticeship, documenting the lessons learned along the way. Must read.